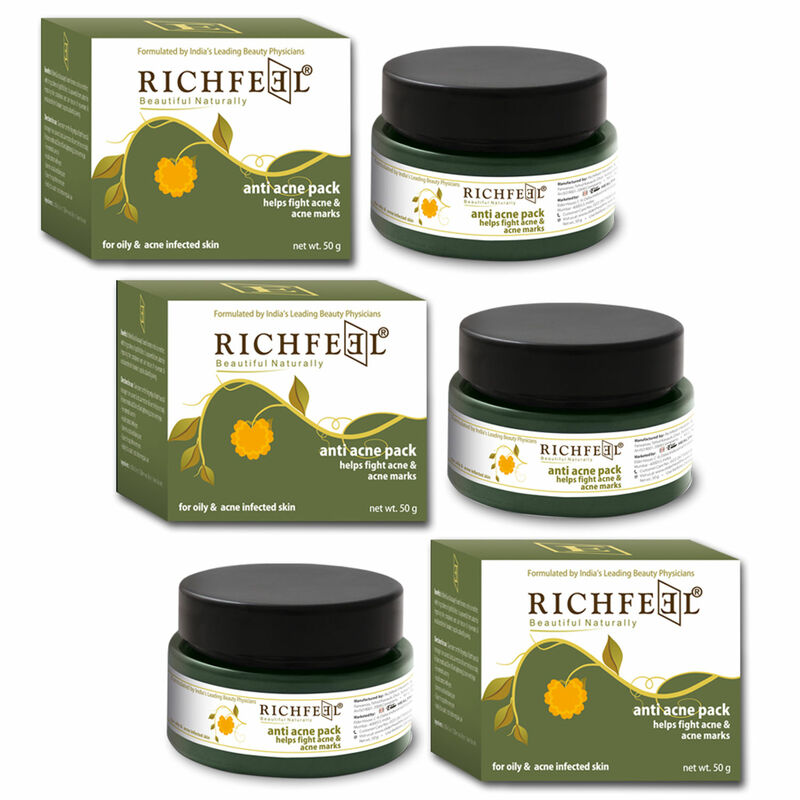 End the acne interruption forever with Richfeel Anti Acne Pack. Its special formulation helps remove dead skin cells & stimulates production of new cells. The pack keeps the skin free of infection and helps in getting rid of acne marks. Just mix 1 tablespoon with water, apply all over face and leave it for 20 minutes. For stubborn acne, make paste & apply directly on pimples every night. Wipe with wet sponge when dry & then wash off with Acne soap for smooth, acne-free skin. Apply on your face every night. Ingredients Kaolin, Bentonite, Starch, Berberis Aquifolium Extract, Azadirachta Indica (Neem Leaf) Extract & Preservative. How to Use Mix 1tablespoon with water, apply all over face and leave it for 20 minutes. For stubborn acne, make paste & apply directly on pimples every night. Wipe with wet sponge when dry & then wash off with Acne soap for smooth, acne-free skin. Apply on your face every night.